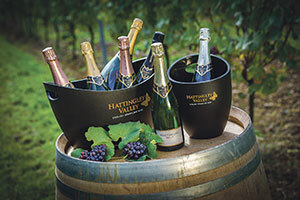 Food and Drink Matters is incredibly happy to announce that Hattingley Valley Wines Ltd have been selected to receive our glowing Wine Company of the Month profile as a result of their unbeatable range of English quality sparkling wines. 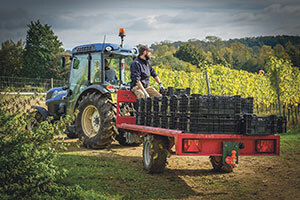 Hattingley Valley was established by Simon Robinson in 2008 after planting a 28 acre south facing site in East Hampshire, with the traditional Champagne grape varieties Chardonnay, Pinot Noir and Pinot Meunier. 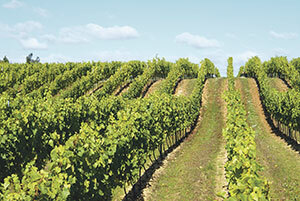 The company manage two well situated sites in Hampshire (for a total of 60 acres) and a winery too. 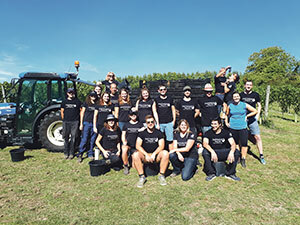 The family business is keen to increase oenotourism in the region and offer tours for those interested in the world of viticulture, with both winery and vineyard tours available. A cellar door programme was introduced in 2018 and will continue to grow throughout 2019. Hattingley Valley’s wines aren’t like any other wines. Part of what has managed to separate them from the rest of the industry is their unique production process. With subtle use of oak barrels, Hattingley Valley is able to ferment small amounts of wine a year whilst the remaining wines ferment in stainless steel tanks. The use of oak barrel helps soften the naturally high acidity levels we achieve in the UK. 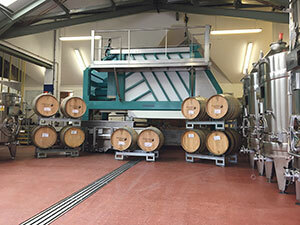 The wines are blended before being bottled for secondary fermentation and ageing on lees. Among their most popular wines is the Classic Reserve NV, specially blended using several vintage wines. With notes on the nose of vibrant baked apple, creamy nougat and brioche, the Classic Reserve has a hint of toast and fresh red fruit, plus soft lemon sherbet notes on the palette. Perfect for any party, this particular wine was awarded the ‘Best NV Classic’ trophy at the 2018 Wine GB awards. You can find Hattingley Valley’s English Quality Sparkling Wines in numerous independent wine merchants and specialist retailers such as Harvey Nichols, as well as in premium pub groups and restaurants across the UK. You can even add a bottle onto your next Ocado order! Perfect all year round, why not make sure you’ve got a bottle on your Christmas table this year? This entry was posted in Company of the Month, Featured and tagged Wine. Bookmark the permalink.